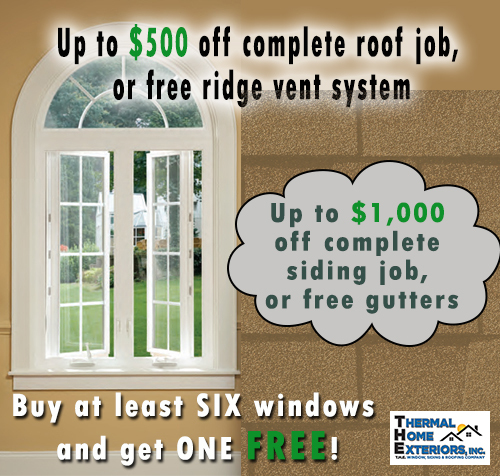 Current Promotions & Specials - Thermal Home Exteriors, Inc.
Up to $500 off complete roof job, or free ridge vent system! Up to $1,000 off complete siding job, or free gutters! Buy at least six windows and get one free! Ask your adviser about details or restrictions on all promotions! Low Monthly Payments to Fit Your Budget!